The birth of child is surrounded by endless joy for parents and everyone around them. 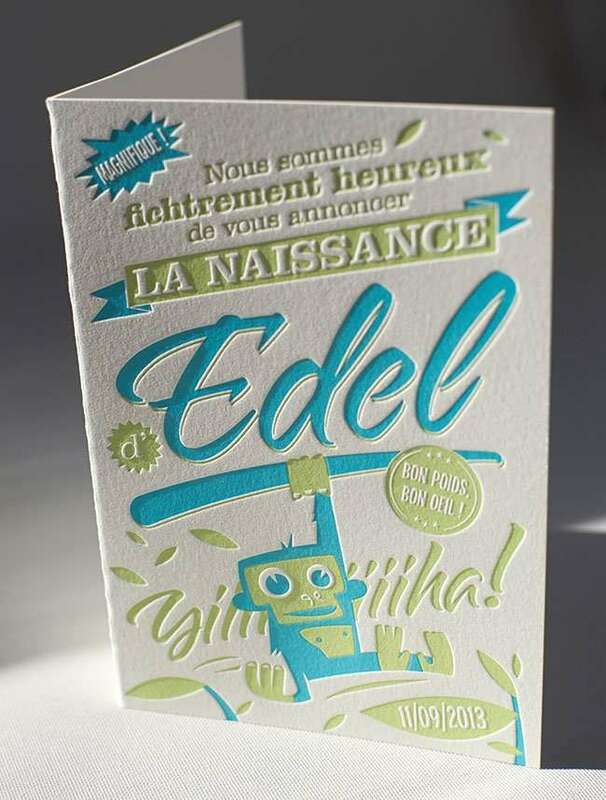 Design for those birth announcements was created, by a really talented belgian designer and illustrator Florent Becquet from Octopus Creative Communication company, to celebrate the birth of his son Edel. 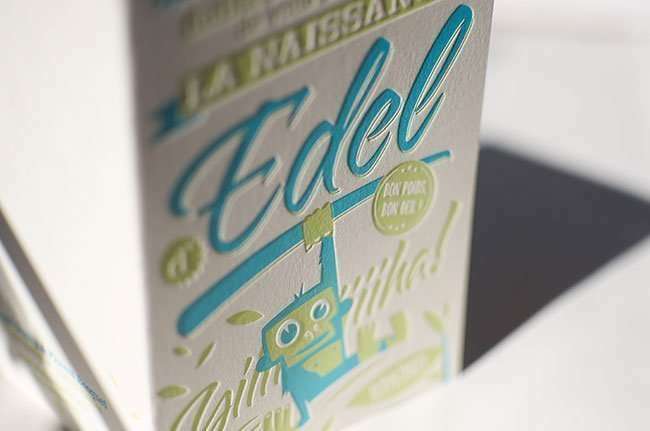 The design looks incredibly entertaining and expressive. 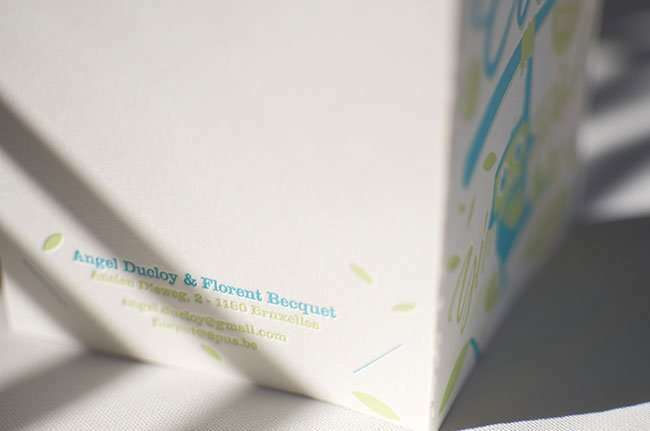 We had a great pleasure to print this letterpress birth announcements. 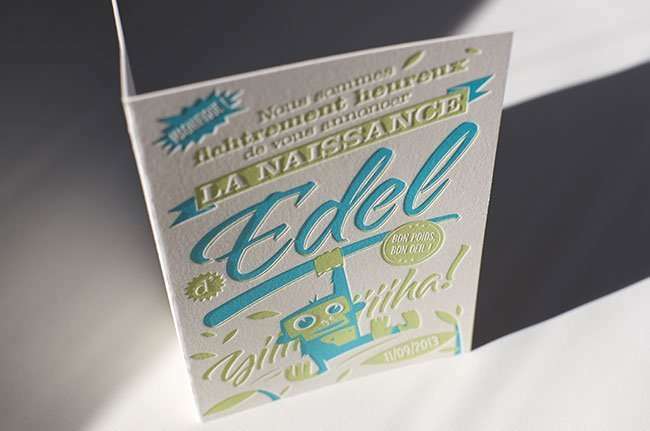 The card itself is a 20×15 cm print, printed on one side only and folded to 10×15 cm. 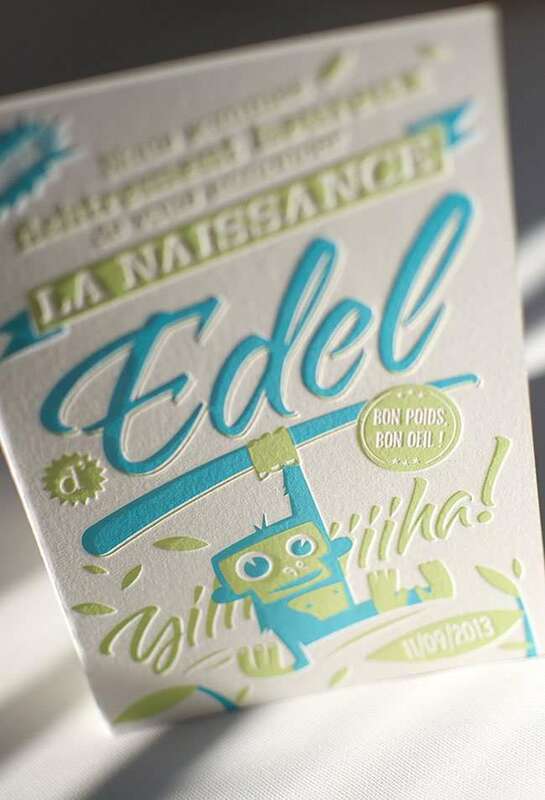 We letterpressed these in pastel blue and green colors which looks really perfect on soft white 430 gsm paper. The registration made us a little worried at first, but it did stay true despite the tight fitting and zero trapping.